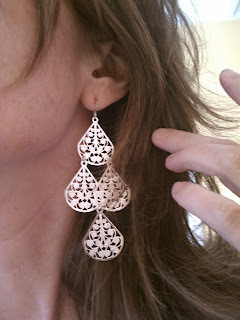 Do you LOVE earrings? You can join the Diva Dangler Earring of the month club for only $9.95 per month and have a fabulous pair of earrings delivered right to your door each and every month! Easy peasy right? The earrings arrived in a cute little diva-ish bag. They were a little too big for my taste but my nephews girl friend loved them so I passed them along to her!